Scarlet’s Smile is offering bricks for sale that will outline the pathways surrounding Scarlet’s Playground in Dodge Park # 5 in Commerce Township, Michigan. 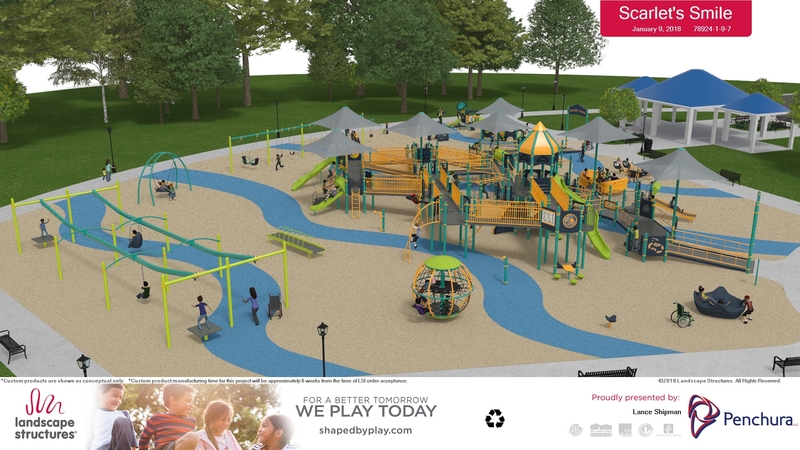 This 16,000-square-foot playground, nestled in the woods near the new Commerce Township Library, will allow for equal recreation for all children regardless of their physical or mental abilities. This Buy-a-Brick program provides a wonderful opportunity for the community and friends of Scarlet’s Smile to leave a visible and permanent mark that will last for years to come! 4″ x 8″ bricks are available for $200 and include inscriptions up to three lines with a total of 12 characters per line, including spaces. Questions can be directed to: Karen Koshen (248)-534-7890 or Larenne Clark (248) 705-6120. Note: Inscriptions are placed in public spaces and, therefore, Scarlet’s Smile will review all brick purchases and will contact you if modifications are necessary. Graphics, phone numbers, and website URLs are not permitted.